Hood was a founding member, along with Jeff Mills and Mike Banks, of the Underground Resistance label, whose influential releases throughout the early and mid '90s helped change the face of modern Detroit techno and sparked a creative renaissance. Infusing elements of acid and industrial into a potent blend of Chicago house and Detroit techno, UR's aesthetic project and militant business philosophy were (and remain) singular commitments in underground techno. Hood left Detroit (and UR) with Jeff Mills in 1992, setting up shop in New York and recording a series of 12" EPs. 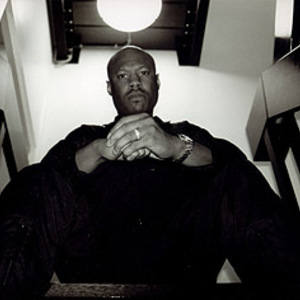 Through the mid '90s, Hood has focused on his solo work, setting up M-Plant in 1994 and releasing singles such as "Internal Empire", "Music Data" and "Moveable Parts". Although his desire to remain underground has been replaced by an urge to reach a wider audience, Hood remains fiercely critical of artistic and economic movements destructive to inner-city communities and has combined his musical enterprises with outreach and social activist ends. His debut Peacefrog album "Point Blank" took Hood's hypnotic minimalism to entirely new depths and territories, whilst his latest album "Wire To Wire" takes his productions onto new levels of musicality and sophistication within the world of electronic music.